When Rise Noº 2 opened in Galleria’s ritzy BLVD Place at 1700 Post Oak just about a year and a half ago (the same center as Whole Foods and North Italia), it seemed the sort of place primed for Ladies Who Lunch. Its menu is heavy on sweet and savory soufflés and also offers salads, a chic wine list and some French staples. However, anyone who brushes it off as a spot for the see-and-be-seen crowd is missing out. Founder and co-owner Hedda Gioia Dowd and executive chef and co-owner Cherif Brahmi opened the first Rise in Dallas. The one in Houston is only the second location and perfectly captures the essence of a French country farmhouse. Airy interiors, light woods and woven dish towels rather than napkins make it a comfortable space in a building where modern lines and sleekness dominate. Rise Noº 2 makes diners feel they’ve left behind Houston’s hustle and entered a French country farmhouse. Photo by Holly Beretto. Of course, there’s also the food. Dowd is an admitted Francophile who grew up with a French mother and an Italian father. Her mother and grandmother made soufflés for decades and Dowd was determined to pay homage to their culinary skill. Brahmi, meanwhile, was trained in France and cut his teeth working under chefs such as Paul Bocuse and Jean LaFont. He had been working in Dallas before throwing his lot in with Dowd. Together, the two crafted a menu that sings with cheerful French comfort food. 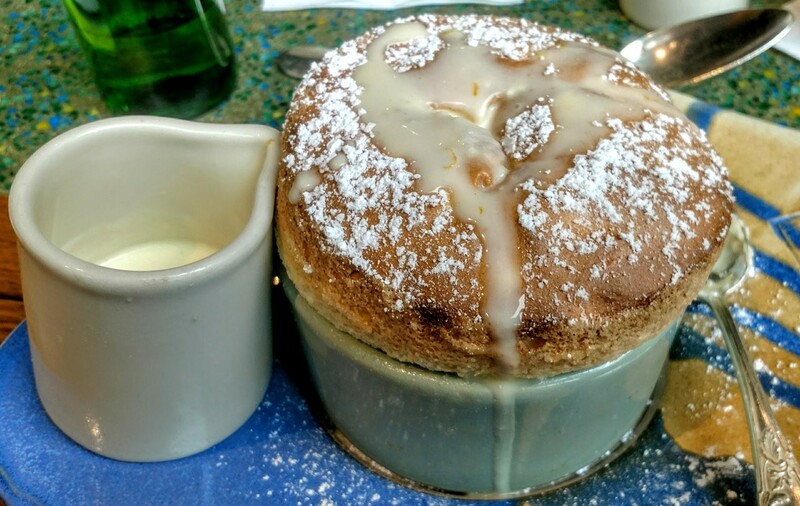 Far from being presented as a high-falutin’ thing of awe, the soufflés here are approachable and—in most cases—expertly done. We were invited to try dishes by the restaurant and and sampled both savory and sweet ones, with varying levels of greatness depending on the type of batter used. 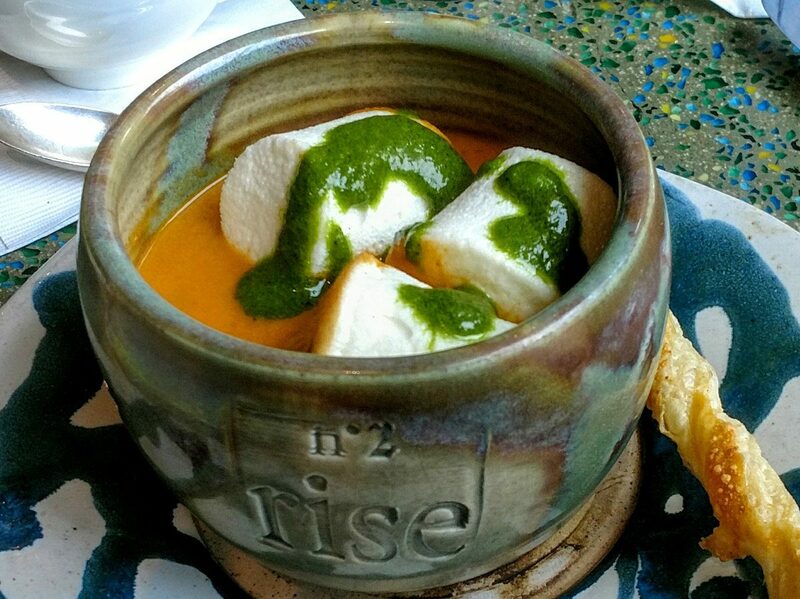 Rise Noº 2’s marshmallow soup is savory and creamy, with just the right touch of brightness from the tomato base. Photo by Holly Beretto. The signature “marshmallow” soup, a tomato carrot bisque with huge cheese curd marshmallows arrived warm and savory, with a velvety texture that made it unexpectedly hearty. The cheese curds were less “cheesy” than puffy and airy but the presentation and taste get big points for creativity. Meanwhile, the French onion soup lived up to its name, with a boatload of onion and gooey cheese on top. 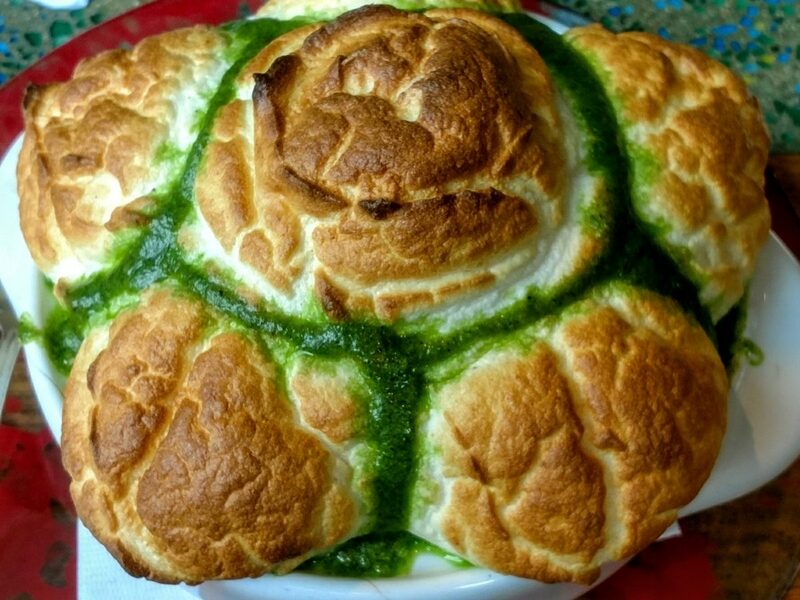 We sampled the escargot soufflé as well as one made with cauliflower and brie. The escargot were plump and garlicky with drizzles of pesto. The texture may not be what diners expect; more loose and not as puffy and light as others. Depending on what ingredients are used in the batter of the soufflés, we were told, some might be wetter than others; the escargot was an example of this. Conversely, the other soufflé featured crunchy cauliflower and a hot pool of soup-like brie at the bottom of the crockery serving dish. It was a fondue that was terrific for dunking the soufflé top into. For dessert, the Grand Mariner soufflé arrived with a bang of orange and just enough syrupy sweetness without being overpowering. Arriving with sweet cream on the side to be poured over the top, it was a terrific ending for the meal. There are for sure dishes to be tried beyond the soufflés. A colorful Niçoise salad featuring a generous serving of tuna. Those looking for heartier fare might take a gander at Rise’s version of steak frites. Overall, Rise Noº 2 is a great addition to Houston’s food scene. 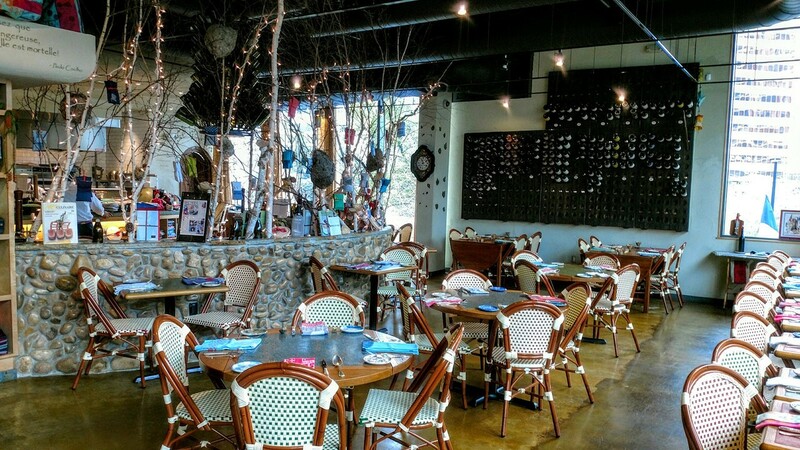 It’s good French fare and the restaurant eschews the ponderous menu of its neighbors. Also, Rise’s location, upstairs and on the corner, feels very much like a hideaway far from Houston’s hustle. Rise Noº 2 is located at 1700 Post Oak on the second level of BLVD Place. Operating hours are Monday through Thursday from 11 a.m. to 10 p.m., Friday and Saturday from 11 a.m. to 11 p.m. and Sunday from 11 a.m. to 9 p.m.